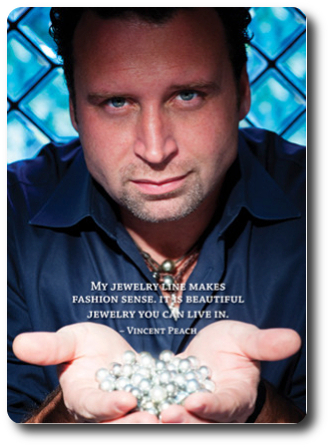 Vincent Peach combines each pearl with other natural, organic elements to create a collection featuring the highest quality pavé diamonds, rhodium chains, Vermeil, sterling silver and hand woven leather. 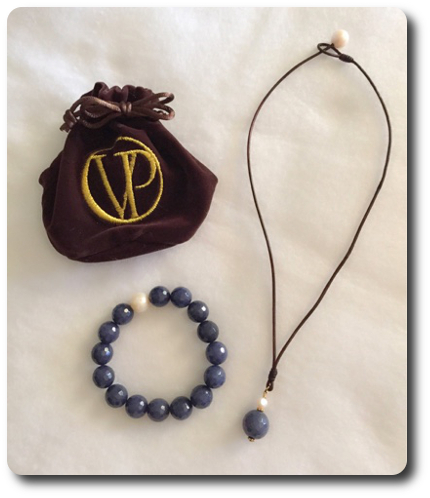 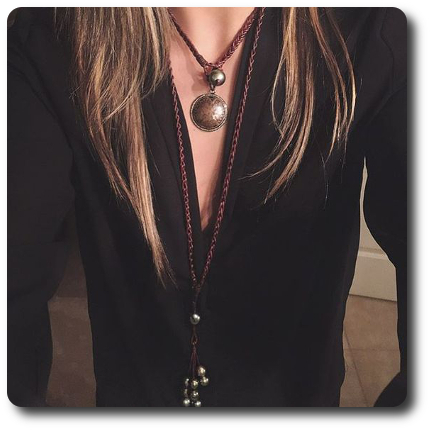 Inspired by the designers Nashville roots and intertwined with the romance of luxury travel, the Vincent Peach jewelry collection is uniquely handcrafted and one of a kind. 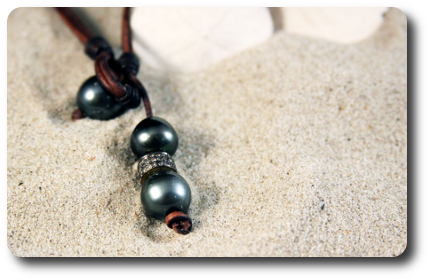 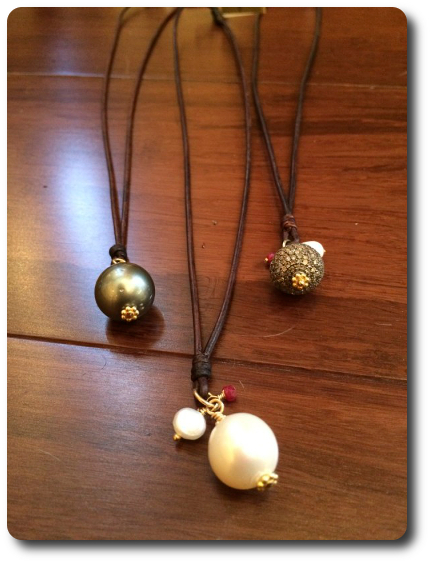 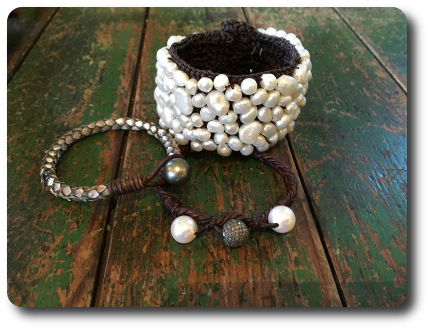 Combining the casual elegance of leather and the extraordinary beauty of fresh water and black Tahitian pearls, the bohemian chic collection is artistically crafted to create a feeling of comfort and ease. 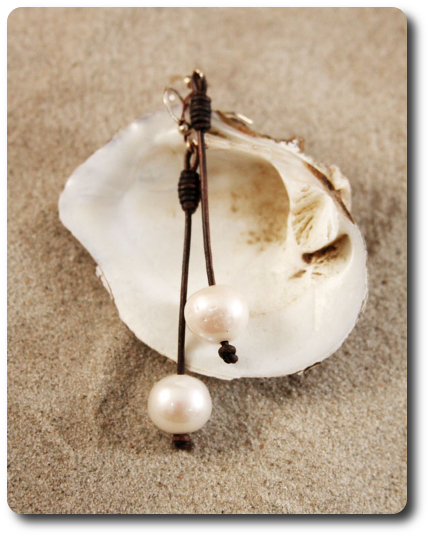 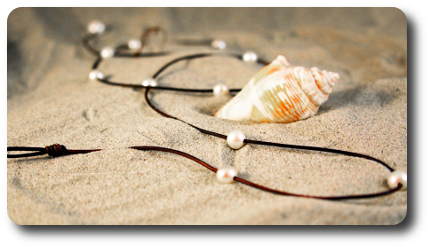 With each piece unfolds a story evoked by a fascination with pearls and the seduction of an exotic escape.